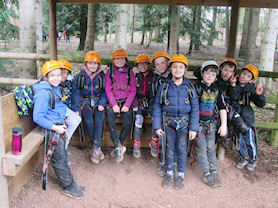 Year 4 went on their residential trip to Oakerwood Activity Centre in Herefordshire. 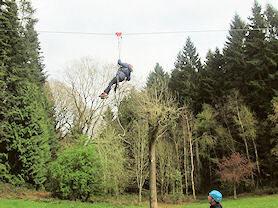 They spent three days climbing trees, making pizzas, solving puzzles, flying through the air on zip-wires and racing through obstacle courses. 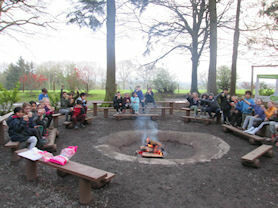 We spent our second evening around the campfire with hot-chocolate. 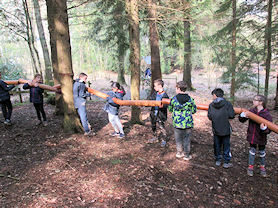 The food was great – we had burgers, homemade pizzas, sandwiches and ice lollies – and the portions were huge! After each meal we worked as a team to wash and dry all of our plates and cutlery. Mrs Fullard, Miss Brown and Mrs Grayston would like to thank all of the children for their wonderful behaviour. 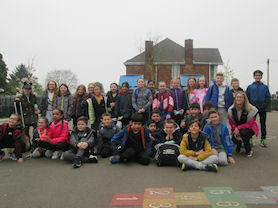 We are so proud of them all for getting stuck into all the activities, even when we were all very cold, wet and muddy. They made us smile and cheered us on when we had a go on the activities for ourselves. 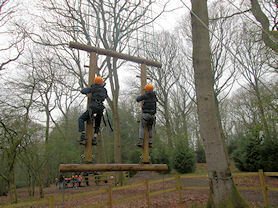 They were a credit to Maney Hill School and we hope they enjoyed the experience as much as we did!